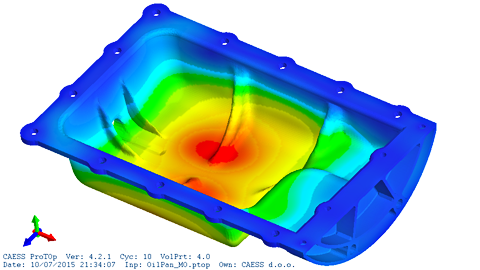 Our team offers high quality services related to finite element analysis (FEA) and topology optimization with ProTop. Both, structural parts and complex assemblies can be addressed. We have excellent experience in CAD modeling, FEA modeling, and topology optimization of practical engineering problems. Our knowledge is based on practical engineering work and in-house engineering software development. 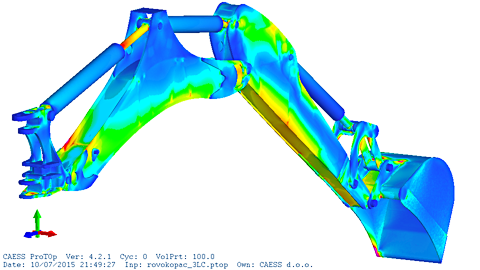 Successful FEA and FEA-based optimization can only be based on a proper CAD model. Thus, CAD modeling must be done by keeping all future activities in mind. Finite element modeling of complex assemblies is not an easy task. Especially, proper modeling and imposition of boundary conditions can be a real challenge for an engineer. 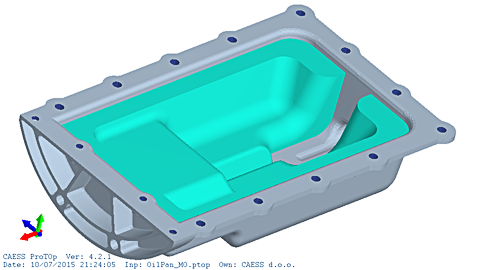 If the underlying CAD model and the derived FEA model are done correctly, the finite element analysis can deliver accurate and valuable results. This forms the basis for later structural optimization. 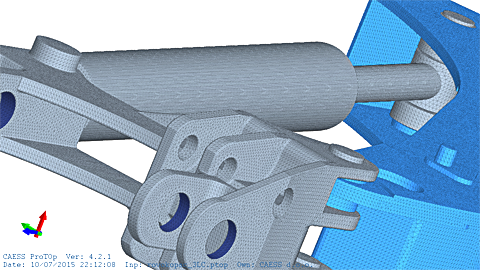 A well prepared CAD model can be quickly adapted for FEA-based optimization. Preparing a model for optimization requires most of all to define the fixed and free regions, technological constraints, and model configuration. Fine tuning of the model is a delicate process requiring experience and a fast optimizer in order to estimate quickly the validity of various assumptions. In order to get the optimized design efficiently, one has to employ meshes with various densities and advanced functions such as the Start-From option of ProTOp. Once the optimized design is computed, surface mesh correction and smoothing tools has to be employed to get the best possible surface.